Dan here, check my video’s out that I have uploaded this week. Hope you enjoy them and if you’re new be sure to subscribe. Hello everyone, welcome to my weekly article about all the latest videos on my youtube channel. 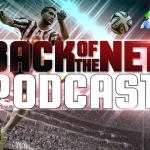 This week we have some great videos for you such as, new season of the manager mode show, FIFA 13 Career Mode Wishlist and not forgetting the Back of the Net: FIFA Podcast. Just before we get on to the new season of the manager mode show, I want to talk about the last episode of season 5. Yes! we went out with a bang, it was full with player awards and goals of the season and not forgetting there were a few montage to spice things up a little bit. Personally it was one of my favourite episodes I have ever edited and it had a great response for you guys, below is a link to the video I hope you all enjoy. 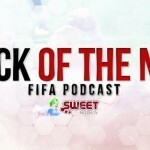 Before we get on to season six of the manager mode show, I have started a new season were I talk about some new features which I have been thinking about and want in FIFA 13 Career Mode. The reason I decided to just focus on Career Mode is because I mainly play that and a lot of my subscribers can then related to it, so if you have any suggests please post them in the comments below. Now on to SEASON SIX ladies and gentlemen, in the last episode of season five I asked my subscribers on were I should go and they voted for…..Sevilla, yes I am going to the spanish league to test myself out, especially in season 5 we did not lose a league game, but can we do it with Sevilla? we are going to need some new players first. Starting off we had 20mil to spend and then after selling and changing the budget acco. I had a 95 million to spend which is amazing, if you want to see the full list check out Episode 2. I want to say thanks for reading and please be sure to subscribe to my youtube channel.